When our first son was born, we lived by the promise, “Train up a child in the way he should go, and when he is old he will not depart from it” (Proverbs 22:6). In the blink of an eye, Scott had graduated from college and married his precious, Christ-loving wife, Stephanie. How thrilled we were when they blessed us with our first grandson, Carter. Then, my prayers started. “God, I know Carter needs to be in a school where you are glorified and honored.” Scott and Stephanie were praying the same prayer…and specifically that Cary Christian would have an opening, and it would be a good fit for Carter. God honored those prayers! Carter experienced a fabulous (he says “Gweat!”) kindergarten year and is now a confident school-loving first grader. Please allow me to share my Top Five Reasons I am thrilled my grandson attends Cary Christian School. 1. Carter’s parents are living out the biblical mandate of Ephesians 6:4: “Fathers… bring them (your children) up in the training and instruction of the Lord.” Because Scott recognizes the most important thing in raising children is that they come to see Christ as Savior and Lord, he acknowledges that his duty to God requires Christian education. Scott and Stephanie recognize that Cary Christian School provides the environment in which Carter and his brother will “Love the Lord your God with all your heart and with all your soul and with all your strength…. Impress (these commands) on your children…” (Deuteronomy 6:5-7). I am proud of my son and daughter-in-love for these realizations and for the Godly instruction Carter receives at CCS. 2. Wisdom, knowledge, and understanding come from God (Proverbs 2:6). Carter could certainly learn facts in another school, but only in a place where the Christian worldview is promoted can he learn, grow wise, and understand God’s hand in creation, in all topics, and in his life. 3. The fear of the Lord is the beginning of understanding (Proverbs 1:7). Not only can Cary Christian teach Carter what God has done and continues to do, the teachers at all levels share the importance of God’s lordship over each student’s life and of holding tightly to the promises and commands in Scripture. Carter experienced an exhilarating day in first grade when he memorized the pieces of the armor of God (Ephesians 6:11; 14-17) and made the physical parts as tangible reminders! 4. It is my prayer that Carter will “live a life worthy of the Lord and please him in every way, bearing fruit in every good work, growing in the knowledge of God” (Colossians 1:10). Scripture and the Christian worldview are not taught in isolation at Cary Christian School. Carter is learning to put his faith and understanding into practice, and it comes naturally to him and to his classmates. Cary Christian emphasizes “fruit-bearing, showing yourselves to be my disciples” (John 15:8). In other words, Carter is learning to be a doer of the word and not just a hearer. 5. I just love seeing him around campus! One of my greatest joys is running into Carter in school and seeing the twinkle in his eye as he notices me! What a blessing that my son and his wife recognized the need for their sons to be in a place where God is constantly glorified. Neither Scott nor Stephanie departed from God’s promise and the prayers of their parents; their children will be part of the next generation of promises kept! Mrs. Carol Ashworth is a graduate of UNC-Chapel Hill with a degree in K-9 Education. After completing graduate coursework at NC State, she was licensed to teach various grades in numerous subject areas. Her favorite subjects to teach include writing, history, and algebra. She also completed an M.B.A. from Meredith College. 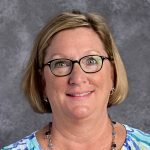 Mrs. Ashworth has taught several upper elementary and middle school courses in a variety of private schools in Raleigh and Cary. She and her husband are the blessed parents of three children, two daughters-in-law, a son-in-law, a beautiful granddaughter, and two wonderful grandsons. She loves running into her grandsons at CCS! She and her husband actively serve at The Summit Church–Apex. She currently holds ACCS Professional Certification.